Having celebrated his 60th birthday this year with a string of monumental releases, American graffiti artist Futura continues to inspire our generation’s cultural and artistic landscape. 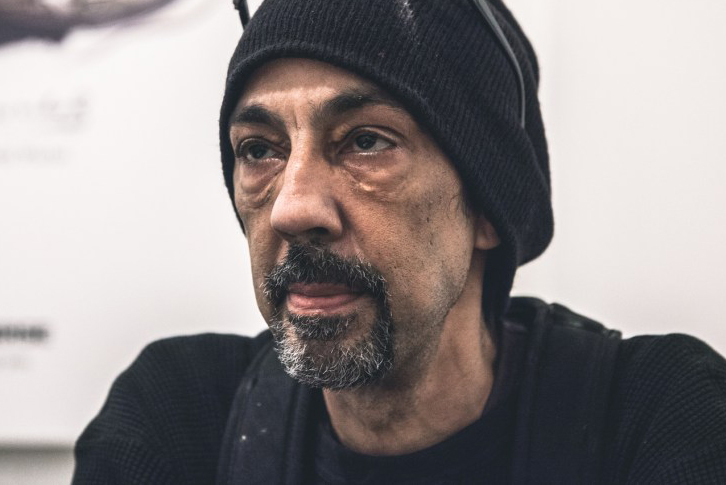 First making his mark on the art scene by painting New York subways in the early 1970’s, Futura began exhibiting works in the eighties alongside his peers Keith Haring, Jean-Michel Basquiat and Richard Hambleton. Commemorating a truly remarkable career, the icon hosted an exhibition last month in Berlin with ACRONYM’s Errolson Hugh. At the gathering, the two creative powerhouses unveiled a series of bespoke pieces customized by Futura himself: an ACRONYM 3A-9TS bag and a J1A-GT jacket. Debuted in tandem with the launch of the ACRONYM x MONTANA spray cans by BEINGHUNTED in the “FUTURA 2000” colorway, the artist fittingly becomes another addition to the line’s ‘Iconic’ series.